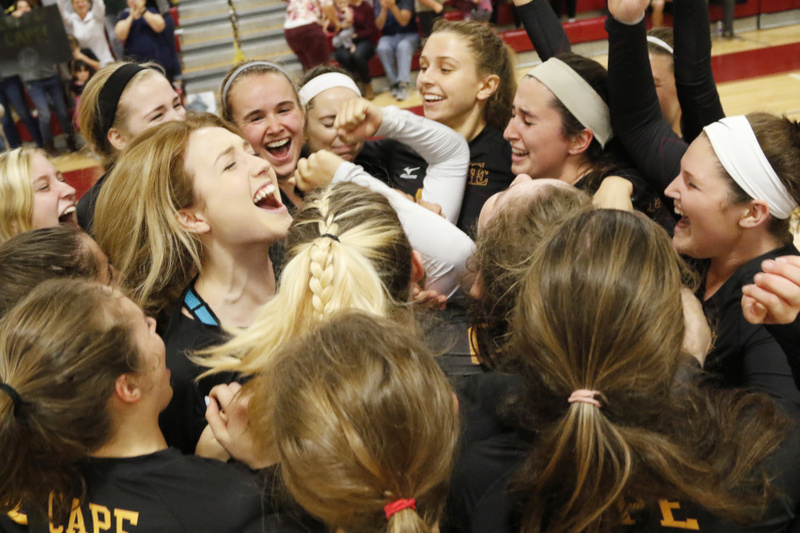 CAPE ELIZABETH — Cape Elizabeth capped a perfect season by sweeping Falmouth in three sets in the Class B volleyball state championship match Saturday at Cape Elizabeth High. The Capers (17-0) came out strong and turned it up again after a back-and-forth second set, winning 25-13, 29-27, 25-21. 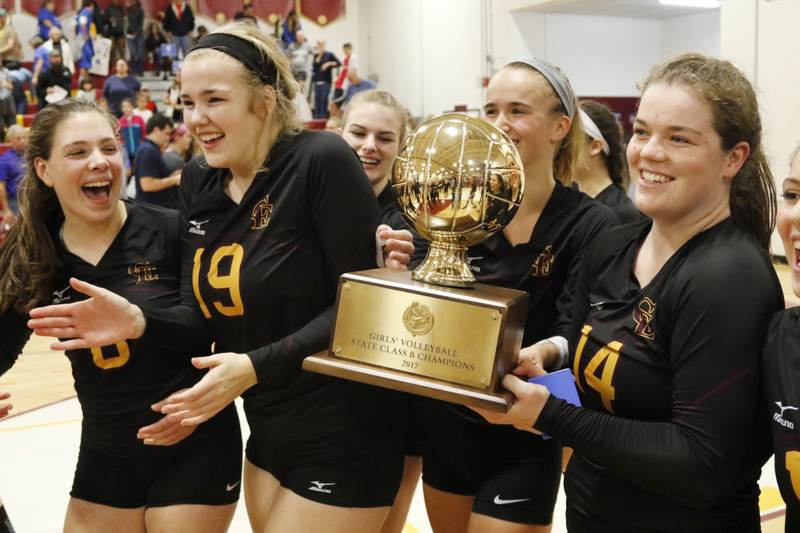 It’s Cape’s second volleyball state title after winning the Class A championship in 2014. Juniors Megan Connelly, Brooke Harvey and Jessica Robicheaw were relentless at the net for the Capers, turning back the power shots of Falmouth freshman Annika Hester. Connelly provided several well-timed kills. Said Boeckel: “We knew where Annika liked to hit, she likes the seams, she likes the lines. We worked this week on taking that away from them. Cape Elizabeth defeated Falmouth twice during the regular season but never swept the Yachtsmen, winning 3-1 and 3-2. Falmouth finished with a 12-5 record. 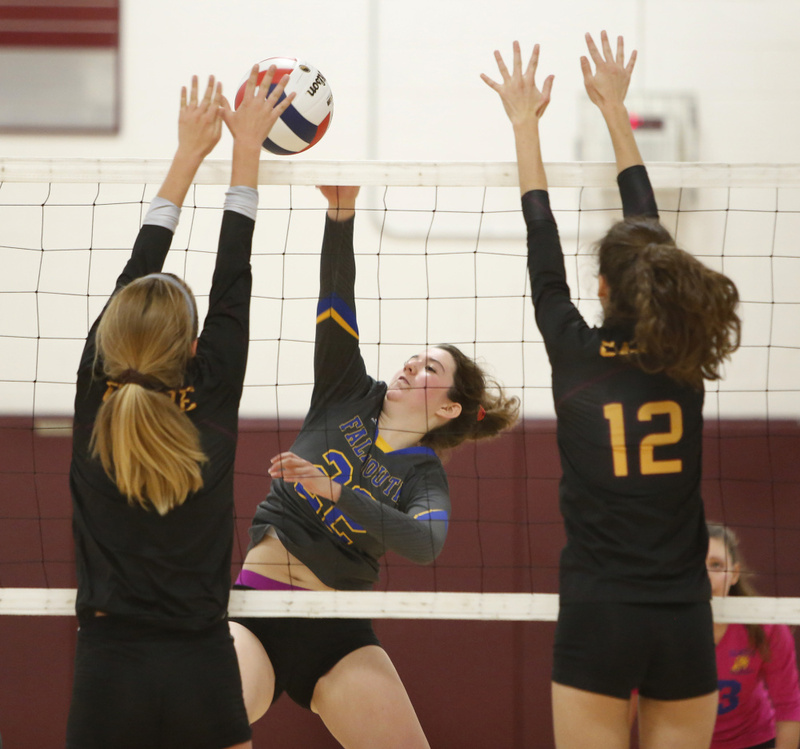 Boeckel said the Capers minimized Falmouth’s strengths – Hester and senior Alston Armstrong, who had four blocks in the third set. Cape took an early lead in the first set, quickly running up the score to 9-3 as junior libero Tess Dolan served two aces during a 5-0 run. Then Connelly served during another 5-0 run to make it 19-10. She ended the set with a kill. The second set was tight throughout, as Falmouth led most of the way. The Yachtsmen scored the first three points on serves by freshman setter Katie Phillips, who had an ace. Kills by Danielle Casavant and Hester and a block from Alison Noyes put Falmouth ahead 7-5. The blocking of Connelly and seniors Anna Torre and Madison Sarka allowed the Capers to catch up at 12-12. Then, Phillips served for Falmouth and sparked a six-point run. Cape senior setter Maggie Dadmun answered, winning five service points to cut Falmouth’s lead to 18-17. 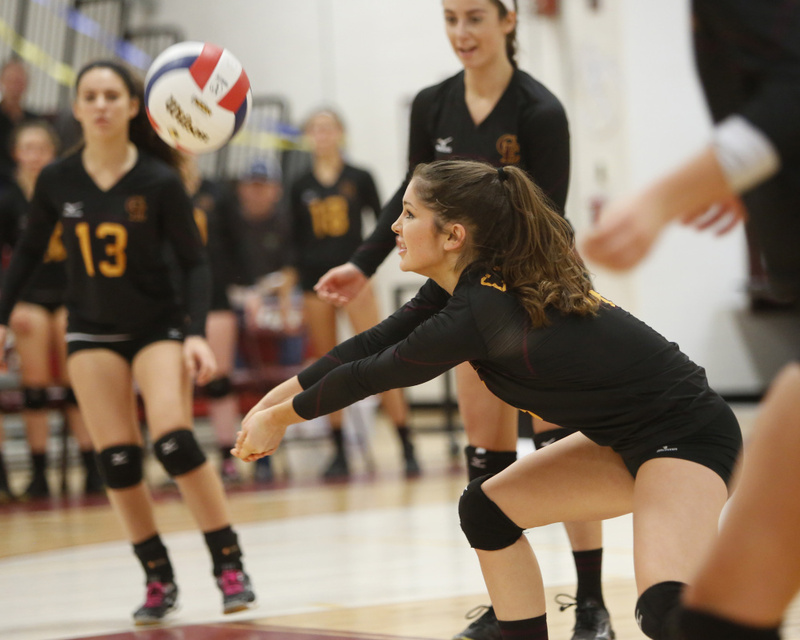 Cape’s army of blockers remained relentless at the net, but Hester managed two kills and a nicely placed shot for Falmouth. The score was tied seven more times before Cape finally prevailed. In the third set, Cape built a 20-13 lead by turning away shots at the net. Connelly added a few nicely placed shots. 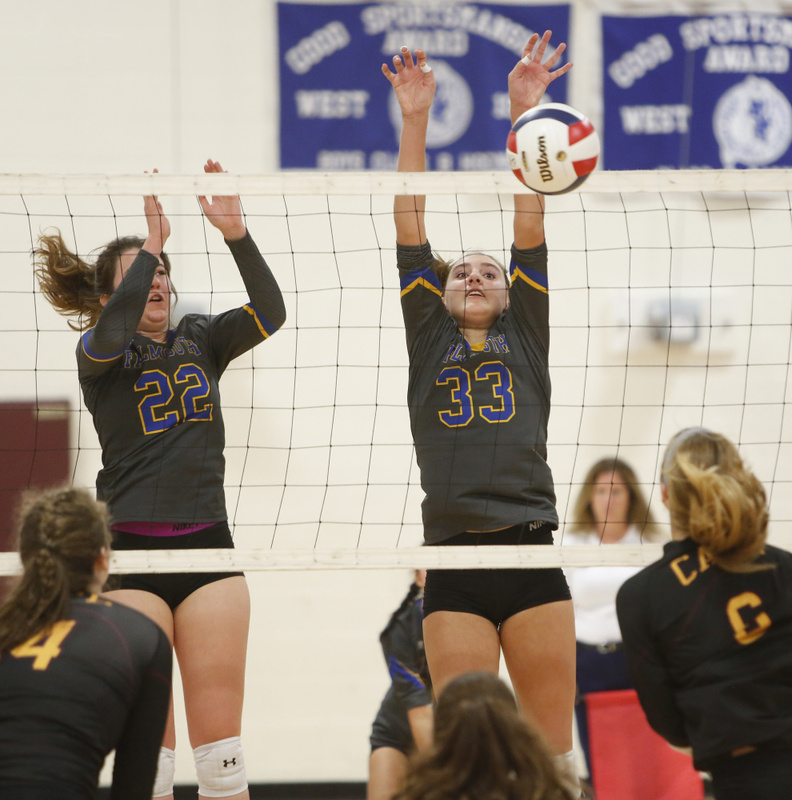 Falmouth, which rallied from two sets down against Yarmouth in the semifinals, again tried to fight back. But after the Yachtsmen closed the gap to 21-20, Connelly recorded an ace and Cape’s blockers earned the final point. 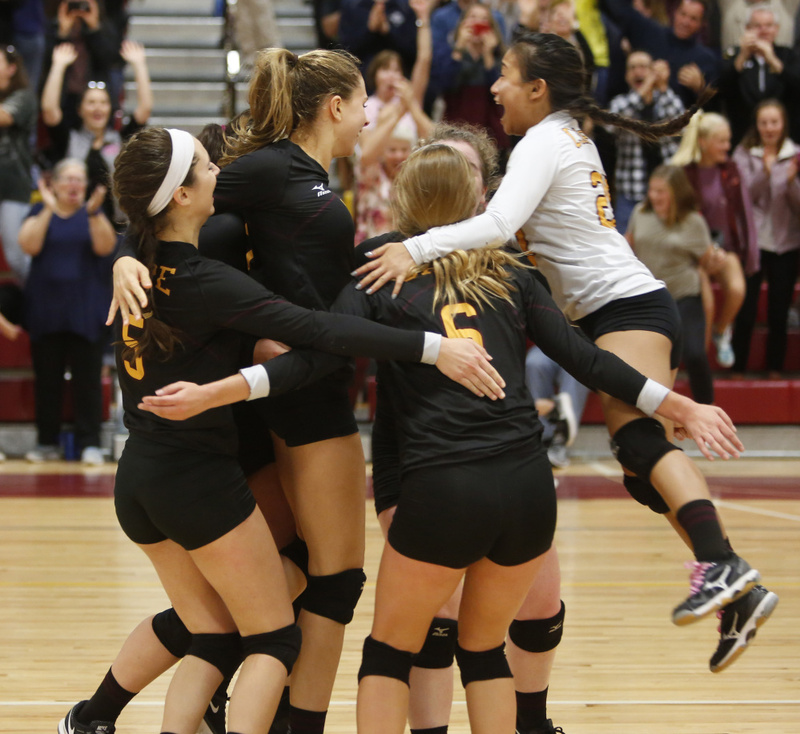 “It took a lot of energy to rally back in the second (set),” said Falmouth’s Armstrong. “I guess it was hard to maintain that energy in the third set. We got down on ourselves. But we rallied back when we were down 2-0 against Yarmouth in the (semifinals), and we believed we could do it. Boeckel credits the perfect season to her team’s conditioning and focus. She said every one of her 18 players bought into a rigorous training regimen. “We never took a day off,” Boeckel said.